I will be compensated for this post. I had no clue myself and it kind of makes me sad I am only just learning about this. You may not know this, but my younger brother (the oldest of the 2) was adopted. Now his adoption was a bit different, because he was 18 when it happened. For those of you going huh? He is mentally handicapped, at 18 his birth mom realized she would no longer get a monthly check for him and kicked him to the curb. He can never live on his own and will always need a legal guardian (someone to care for him). He was my brother long before this moment, but our dad made it official! My brother's is funny, sweet and is always there for me. We may not share the same blood, but he is my brother in every sense of the word. So adoption is a near and dear subject to heart. Without it I wouldn't have gotten the brother God forgot to give me. Older youth and teens have lower adoption rates than younger children, and they often wait longer to be adopted. But no matter their age, all kids need a supportive, loving home and the teenage years are a critical period for growth. The new TV PSAs, which were created for the campaign probono, portray a dad giving advice to his teenage daughter after her first breakup, and a mom giving her son a haircut at home. The humorous, lighthearted scenarios aim to overcome fears adoptive parents may have regarding their own imperfections. The PSAs end with the tagline, “You don’t have to be perfect to be a perfect parent,” reassuring prospective parents that even if they are not ‘perfect’, they have the ability to provide the stability and security that older youth in foster care need and deserve. 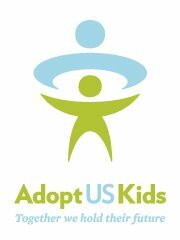 The PSAs direct audiences to visit adoptuskids.org or to call 1-888-200-4005 (English) or 1-877-236-7831 (Spanish) to receive the latest information about the foster care system and the adoption process. Older youth are overrepresented in the foster care population, as they generally wait longer to be adopted, and have lower overalladoption rates. Adoption is expensive. Unlike the private adoption of an infant or adopting internationally, there are virtually no costs associated with adoption from the US child welfare system. In addition, the vast majority of youth adopted from foster care are also eligible for monthly adoption assistance up to the level of the foster care rate. You have to be married. You do not have to be married to adopt in most states. Many children have been very successfullyadopted by single parents. Single-parent families accounted for 29 percent of all adoptions from foster care in 2014 (AFCARS). You have to have a college degree. Having a high school diploma or college education is not required. What is important is that you are stable, flexible, and compassionate, and that you have a good sense of humor. Most importantly, you must have the support and commitment to raise a child and to be there for him throughout his life. You have to own a home and each child has to have their own room. You can rent your home or live in an apartment or a mobile home so long as your living situation is a stable one. You have to be of child-bearing age to adopt. Experienced parents and empty-nesters are encouraged to adopt. In most instances, you’re eligible to adopt regardless of age, income, marital status or sexual orientation. You can only adopt a child who is the same race and ethnicity as you. Federal law prohibits the delay or denial of an adoptive placement based on the race or ethnicity of a child in U.S. foster care and the prospective parent or parents who are seeking toadopt them. The only exception to this law is the adoption of Native American children where special considerations apply. You can’t adopt if you’re in the military. Military families stationed overseas and within the U.S. are eligible to adopt children from the U.S. foster care system.